Our Spark Plug Wire Sets are built to meet stringent OEM tolerances for a variety of import vehicles. When a spark plug fires, it creates a great deal of radio frequency interference (RFI) and electromagnetic interference (EMI). Uncontrolled, this can show up as static in the radio or other electronic devices, or much more seriously, in electronic ignitions, fuel injection, and engine management systems. 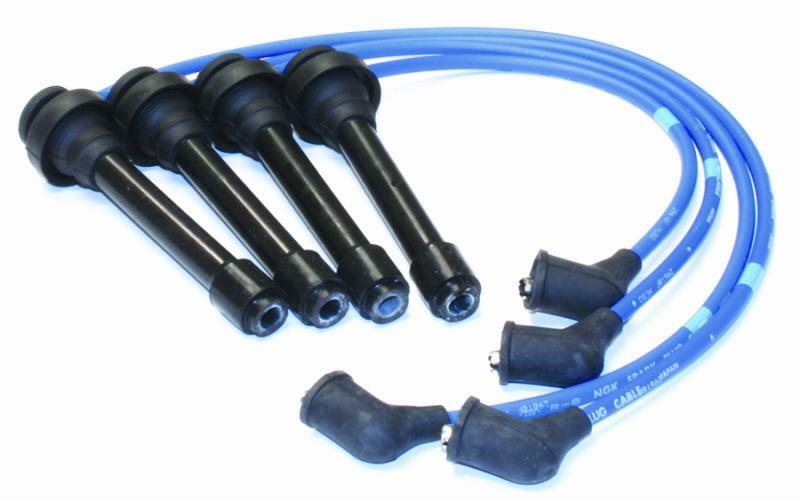 This interference with EFI and engine management systems can cause “cross talk” between wiring harnesses resulting in poor running, misfiring and decreased performance. 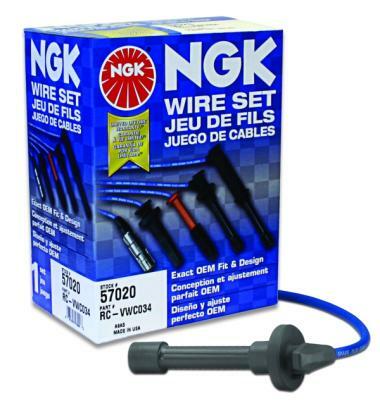 NGK Resistor Spark Plug Wire Sets utilize a construction method known as “variable pitch” wire winding to create resistance to radio frequency interference. 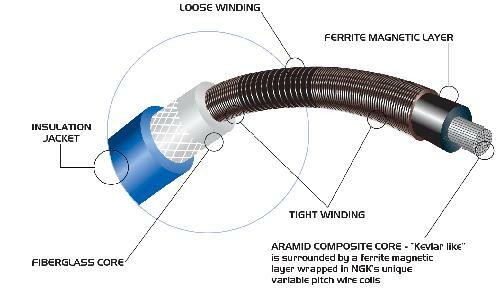 The variable pitch winding (loose/tight/loose) provides suppression throughout a very wide range by “scrambling” and breaking up the electrical waves radiated by the firing of the spark plugs.